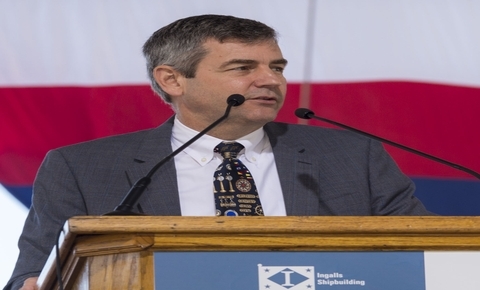 "Lessons From A Road Less Traveled"
HII President and CEO Mike Petters speaks at the christening of the guided missile destroyer at Ingalls Shipbuilding in Pascagoula, Mississippi. 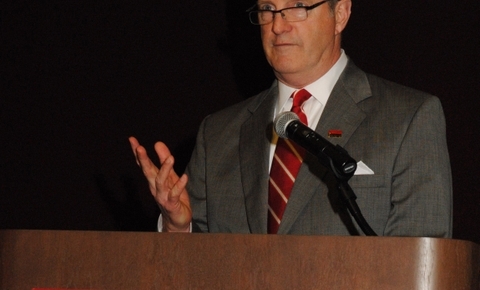 He says shipbuilders, like John Finn, are heroes in their own way. 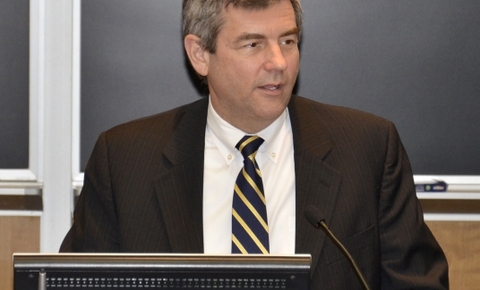 "Investing in Children Today—Ensuring a Quality Workforce Tomorrow"
Bill Ermatinger, HII's corporate vice president, human resources, speaks at the Smart Beginnings Western Tidewater Annual Meeting, Paul D. Camp Regional Workforce Development Center in Franklin, Va.
Mike Petters, HII's president and CEO, tells Webb Institute students that their education is a "license to learn." 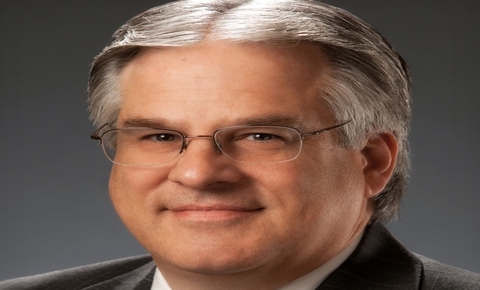 Webb Institute is a private undergraduate engineering college in Glen Cove, New York. 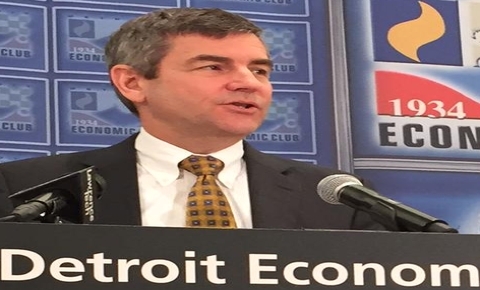 Mike Petters, HII president and CEO, addresses the Detroit Economic Club about the need for business leaders to focus on creating long term value. 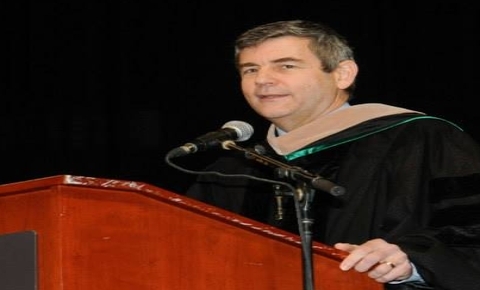 Mike Petters, HII's president and CEO challenges new graduates to love what they do. 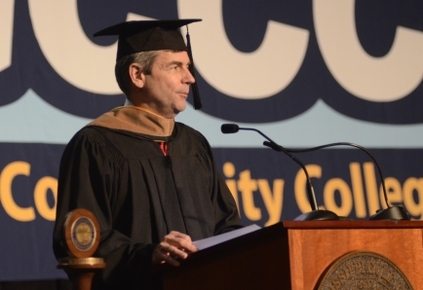 He spoke at the Winter 2014 commencement ceremony at ODU's Darden College of Education, Batten College of Engineering and Technology and the College of Sciences. 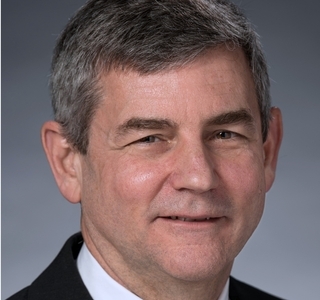 HII CEO Mike Petters tells the Virginia Chamber of Commerce that HII has learned that the earlier you fix the problem, the better the result, and to fix education, we need to get it right from the very start. 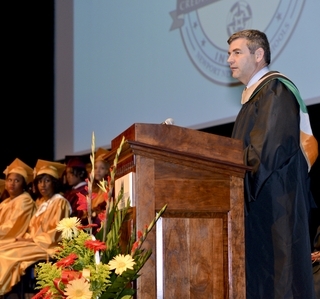 Mike Petters, HII president and CEO, encourages the 54 new graduates of An Acheivable Dream Academy to live the American Dream. 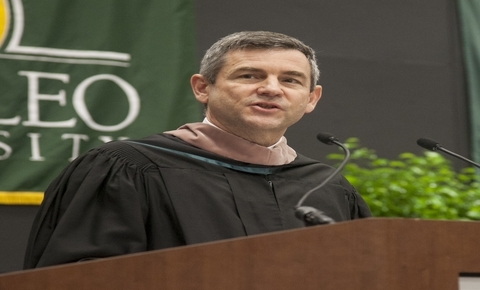 During the featured speech at St. Leo University's commencement ceremony, HII CEO Mike Petters challenges graduates to "build something."